In Torajan culture, death is not necessarily the end. 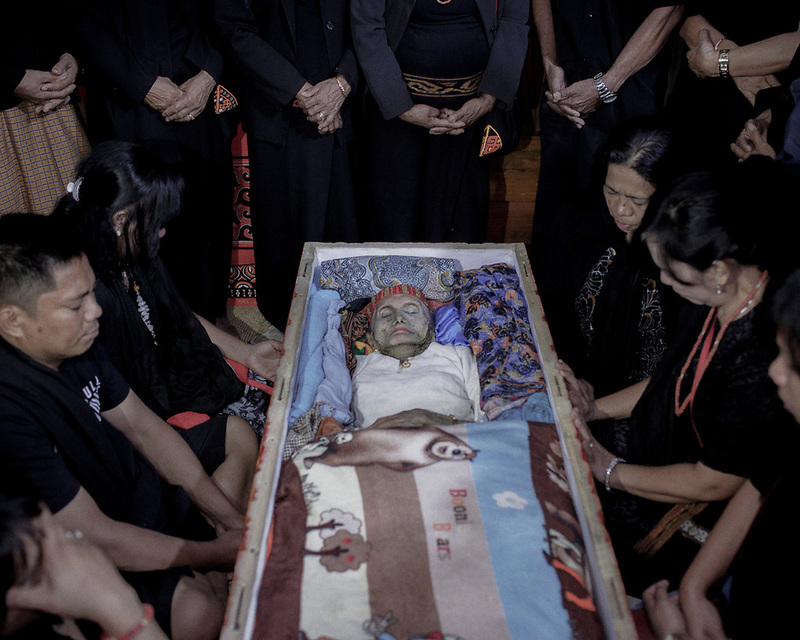 The body of Lai' Tiku who passed on a few months ago is seen inside the coffin while family members pray. Many of her personal belongings are placed inside to accompany her in the after life. The matriarch in her family, Nenek Lai' Tiku passed away at age 102, she is survived by 10 children, 49 grandchildren, and 162 great-grandchildren.